Look at this beautiful picture of Taylor Swift. She is a well-known country pop singer. Her debut single in 2006 was called “Tim McGraw”. It was a number one hit in America. Now, with only 20 years of age, her earnings in the year 2009 increased to more than 18 million dollars! 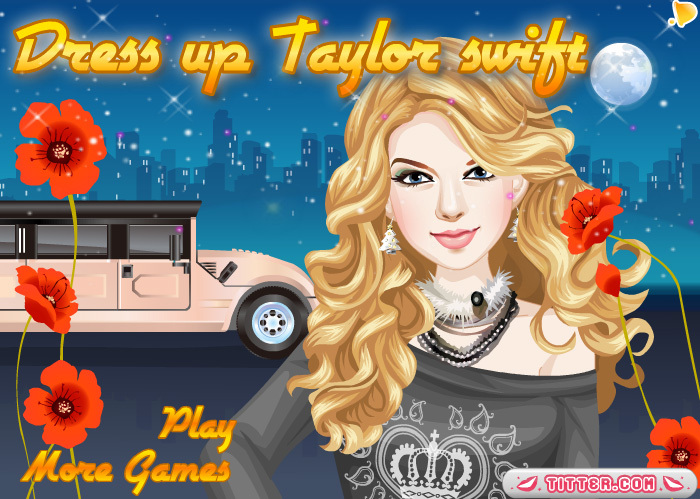 In this game you can make-up Taylor and dress her up the way you like it best. Choose a nice background and hear the sound of her fans and of the photo camera’s as she presents herself.